Dreaming up the perfect vacation is easy, but actually creating an Australian vacation itinerary that ties in all you want out of your trip can be tricky, especially when you haven’t visited the destination before. It’s important to have a detailed plan before running out into the wild beauty that Australia has to offer. Our team at Australian Luxury Escapes focuses on ensuring the most remarkable experience by offering curated itineraries and Australian eco tours that turn those vacation dreams into reality. As Australian eco tours become more and more popular, it’s necessary that ecotourism is done right. Focused on the traveller’s best interest in mind, we offer a handful of tours in a wide variety of locations. Our Australian eco tours invite visitors to experience the natural beauty and breathtaking views that Australia has to offer while incorporating local Australian foods and wine throughout the tour. 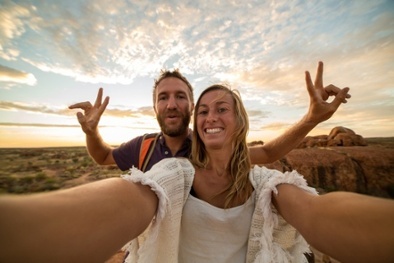 Our detailed curation of itineraries bring the best out of Australia for all to see. Our Cairns Hinterland eco tours start by taking you through the rugged beauty of Cairns takes you into the Crater Lakes National Park, through waterfalls and cedar trees, to enjoy tea or coffee overlooking the pristine lake. Passing through the local wildlife, the trip continues into Atherton, where the sugar and tropical fruit plantations nestle in a woodworking gallery, where the tour stops for an astounding wood turning display and a tasty lunch of Australian cuisine and wine. As the tour continues to the cultural village of Kuranda, we hop on the famous Skyrail and take it over the vast rainforest, dropping you off where a guide will take you back to your hotel. Small group tours gather up to twelve guests and take them through a day trip of intimate locations and delicious food and wine. With tour locations like the “must-see” iconic qualities of Sydney or the historic Hunter Valley wine tour, these small group tours ensure that you experience Australia in an enjoyable and luxurious way with a fun group. Our private tours bring out the best qualities of Australia in the most luxurious ways. Have our specialised travel team create a one-of-a-kind travel experience with a itinerary created specifically for you. 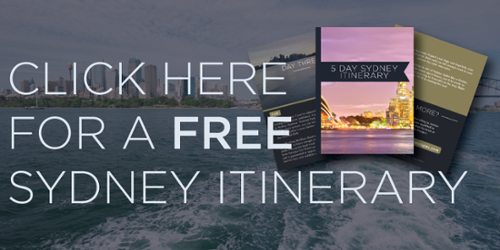 These itineraries take you through the iconic sites of Australia in the most luxurious ways. Destinations like seaside city of Perth or the amazing architecture of Hobart are only a few of the places that our custom itineraries can take you. 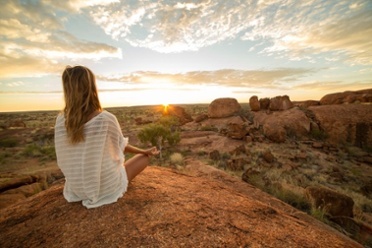 With a knowledgeable staff and an experience customised for you, Australian Luxury Escapes provides an incredible and unique way of experiencing all that Australia has to offer.